The Arctic is changing, and the people living there are trying to change with it. 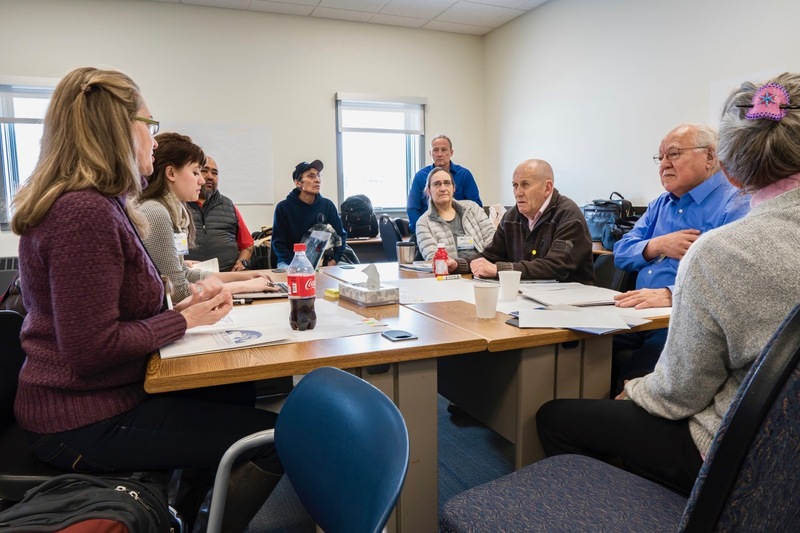 A recent conference in Nome brought together leaders from Alaska Native communities to discuss the challenges — and opportunities — facing an evolving Arctic. That tension was front and center at the Arctic Futures conference last week at UAF Northwest Campus. It was hosted by the Arctic Domain Awareness Center (ADAC), which does research and community engagement for the U.S. Coast Guard. About 50 people from the Bering Straits region and the Northwest Arctic and North Slope boroughs were in Nome for the two-day workshop. They compared scenarios for 20 years into the future based on different variables, including how much ship traffic increases and how much erosion worsens. On top of erosion, the land is also changing due to mining projects popping up throughout the Arctic. For some, it’s a way to make a living. Arlene Soxie is an elder from White Mountain. She’s against mining. The ocean is in flux, too. This winter saw the second-lowest Arctic sea ice extent on record. Last year saw the lowest. There are some upsides to more development in the Arctic, like better health care and fiber-optic communications. Gordon Brower hopes to see more improvements like those. He’s the director of planning and community services for the North Slope Borough. Gordon sees responsible resource development in the Arctic as a way to break that cycle. And he wants to make protecting oil reserves in the Beaufort Sea a national security priority. Elim elder Robert Keith says designing infrastructure around how nature behaves could help communities avoid the worst consequences — and price tags — of a changing climate. But he says that kind of knowledge only comes with years of experience living in the Arctic. For now, Nome will move forward with exploring a deep-draft port that would bring more ship traffic through the Bering Strait. And down the coast, people like Keith will watch the sea ice retreat and the coast continue to erode.